Ever wondered what a day in my life is like? 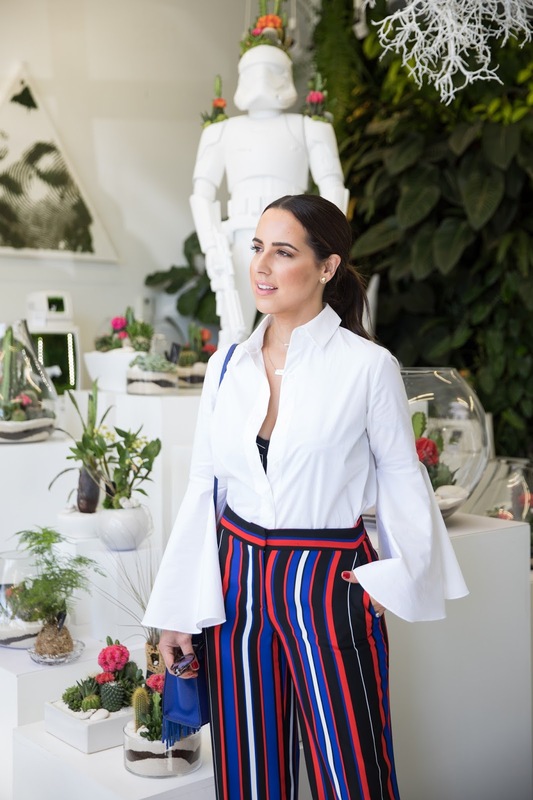 Vince Camuto asked me to show them around my favorite spots in Miami, so I created my ultimate guide for a day in the Magic City. Got 24-hours in Miami? This is what to see and do like a local. Skip the $20 coconuts at your South Beach hotel and grab my favorite carrot/orange juice combo and a fresh coco frio for a cool $4. Literally meaning “the palace of juices,” you can say that El Palacio de los Jugos is the OG juice bar in Miami. The first Palacio opened back in 1977 as an open-air fruit market, and today has grown to 9 locations offering fresh juices and traditional Cuban food, candy and desserts. Growing up in a Cuban family, Palacio was where we would go on Saturday mornings for café, jugo de naranja (orange juice) and tostadas (Cuban toast). Now I pop by on a weekly basis when I want to get my juice on, but also feel like having a delicious Cuban sandwich. It’s all about balance! There’s a lot more to the Wynwood Art District than some cool graffiti walls and murals. Some of my favorite places to shop are now located there. 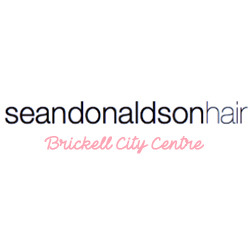 The cutest stationary store in all of Miami, but I may be a bit biased because my friend Bridget is the owner. 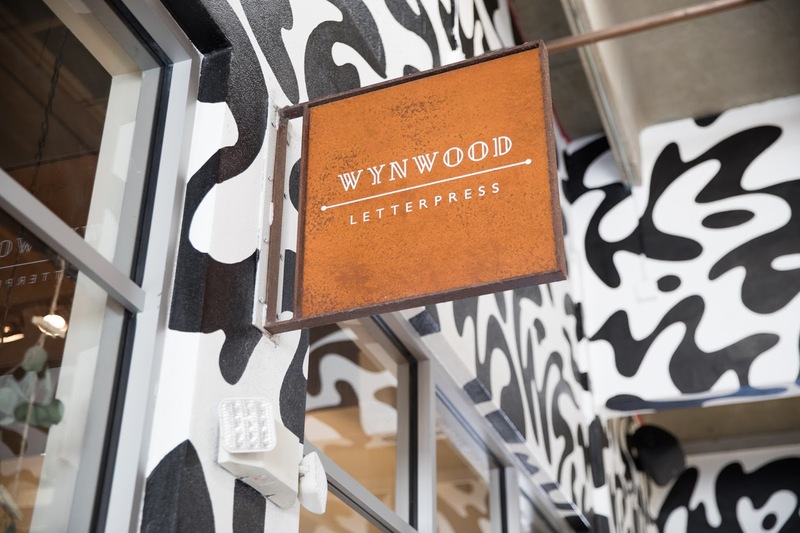 Wynwood Letterpress is your destination for custom stationery, notecards, invitations, gifts and more. I hired Bridget to create my custom wedding invitations when the shop was barely a month old, and I wouldn’t have had it any other way. If you’re into calligraphy or DIY, they also host monthly workshops. 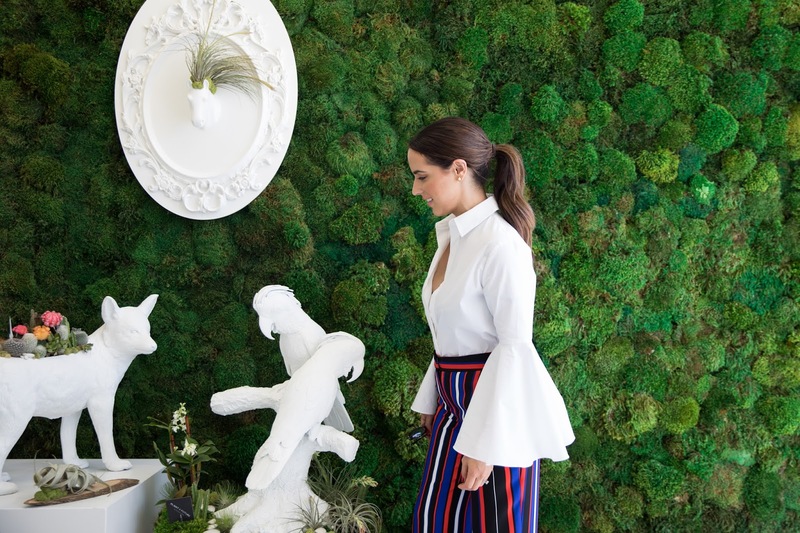 The darling of local fashion bloggers, Boho Hunter was started by four girlfriends from Latin America who met in Miami and bonded over their mutual love for fashion. They have each brought to the store cult brands from their native countries, creating a space for fashion-forward locals to discover sophisticated bohemian designs that you can’t find anywhere else. 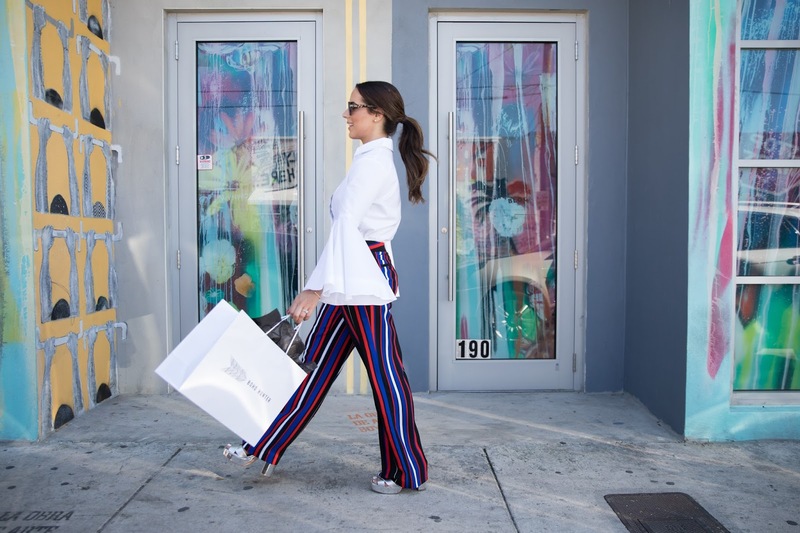 I find new gems every visit, most recently falling for chic basket bags from Palma Canaria (handmade in Colombia), and ruffled skirts from Ecuadorian brand Stella and Amelia. Just around the corner from Wynwood Letterpress you’ll find this cute diner. Kick your feet up in the garden while enjoying a quick bite. FYI, I spent 8-hours running around town in these maj metallic platform sandals by Vince Camuto and didn’t collapse at the end of the day. Shoe goals. Since becoming a homeowner last year, I’ve become a crazy plant lady. Even though I can’t manage to keep any of them alive (!) Plant the Future has the most beautiful selection of house plants that are truly more like art. You can find everything from baby cacti ($6+) to unique wall installations and Stormtroopers. Even if you’re not shopping for greenery, it’s worth a visit for inspiration and all the extra CO2. No visit to Miami is complete without a taste of Cuban cuisine! Newly opened in the heart of the Miami Design District, Gloria & Emilio update Cuban classics at their eponymous Estefan Kitchen. 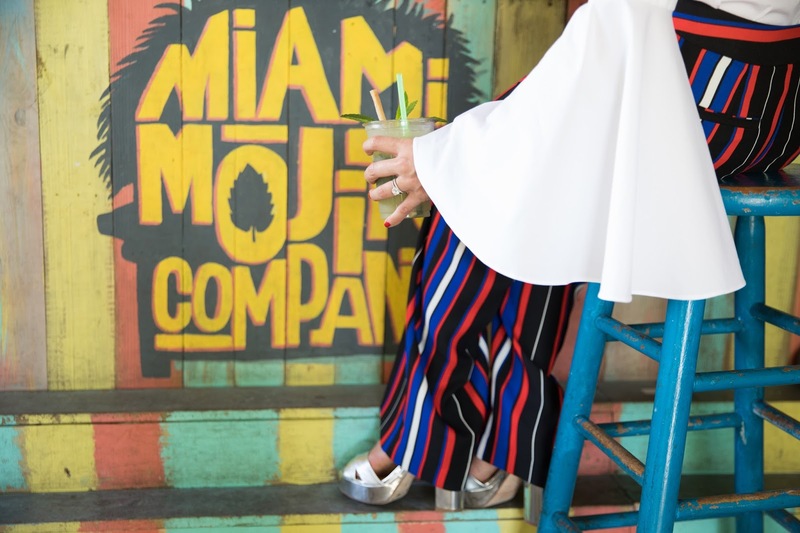 The retro chic decor is 1950s Havana meets Miami Vice with glossy white furnishings standing out against dramatic black and white floors and iridescent mosaic murals. It wouldn’t be a Cuban restaurant without a Latin soundtrack to set the mood, and in this case an oversized projection screen features vintage concert footage. Order a variety of small plates to share. 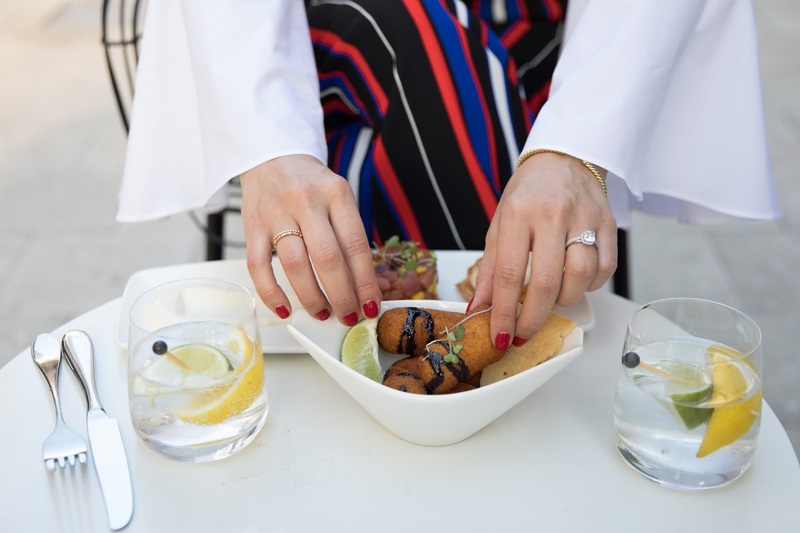 My favorites include the avocado salad, tuna tartare, and of course the (chicken) croquettes!